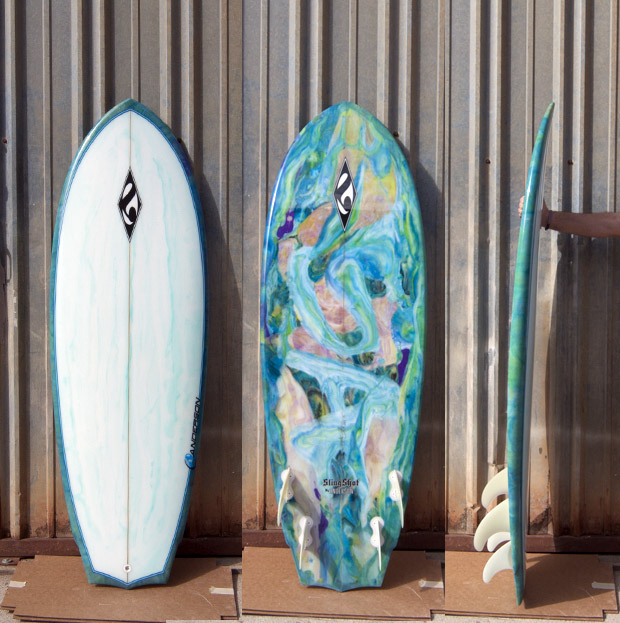 A cross between a shortboard and a fish. Normally ridden shorter and wider than a standard shortboard. Concave throughout the bottom with a relaxed rocker enables faster paddling while maintaining performance.